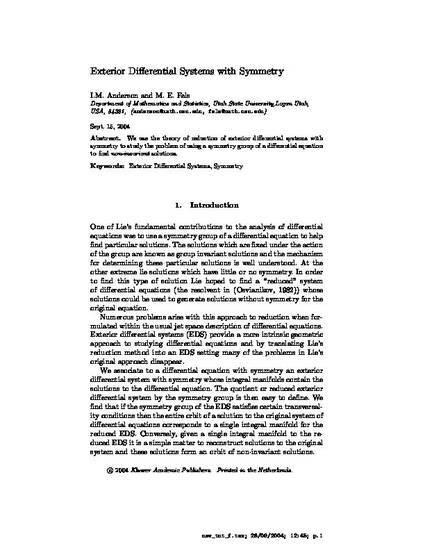 We use the theory of reduction of exterior differential systems with symmetry to study the problem of using a symmetry group of a differential equation to find noninvariant solutions. Published by Springer in Acta Applicandae Mathematicae. Author Preprint available for download through link above.